The ancient Kemetic people who built the pyramids and gave the world mathematics, architecture, astronomy, agriculture, chemistry, engineering, medicine and religion used symbols to express their scientific and philosophical ideas. Through modern eyes, what these ancient people meant by their symbolic drawings and carvings appear obscure and mysterious. Through the eyes of one enlightened to their world view – their obvious and magnificent messages are easily understood. Carved on the back of a wooden chair found in the tomb of Pharaoh Tutankhamen is the image of a man called Shu. Shu represents the concept of breath. His long curved beard indicates that the ancient Egyptians or Kemetic people viewed him as a Netcher or force of nature. In the ancient Kemetic Scientific System of Cosmology, Shu represents the concept of the breath we breathe, which gives life to our physical bodies. It’s also the atmosphere that surrounds the Earth and one of the four elements of creation, i.e., earth, air, fire and water. Egyptologist who studied ancient Egyptian civilization have known about this carving for thousands of years, yet no one ever equated Shu with Yoga. When we do a casual examination of his position and the symbols carved on the chair which includes the sun disk at the top of his head and two Cobra snakes, the connection with Yoga becomes obvious. The sun disk on top of his head corresponds to the crown chakra or energy center related to higher intelligence and enlightenment. The cobras correspond to two of the three main Nadis which according to Yogic science are channels through which energy or life force moves, nourishes and animates the human body. The position of Shu and all other myriad of Yoga positions we see represented in ancient Egyptian art and literature are not unique to that culture. You can find it in other parts of Africa and in the western hemisphere where Africans traveled thousands of years before Columbus. The people of ancient Kemet practiced a unique style of Yoga that predates the Yoga of India, and the practice and philosophy of Yoga in India was informed by knowledge that came out of Africa. 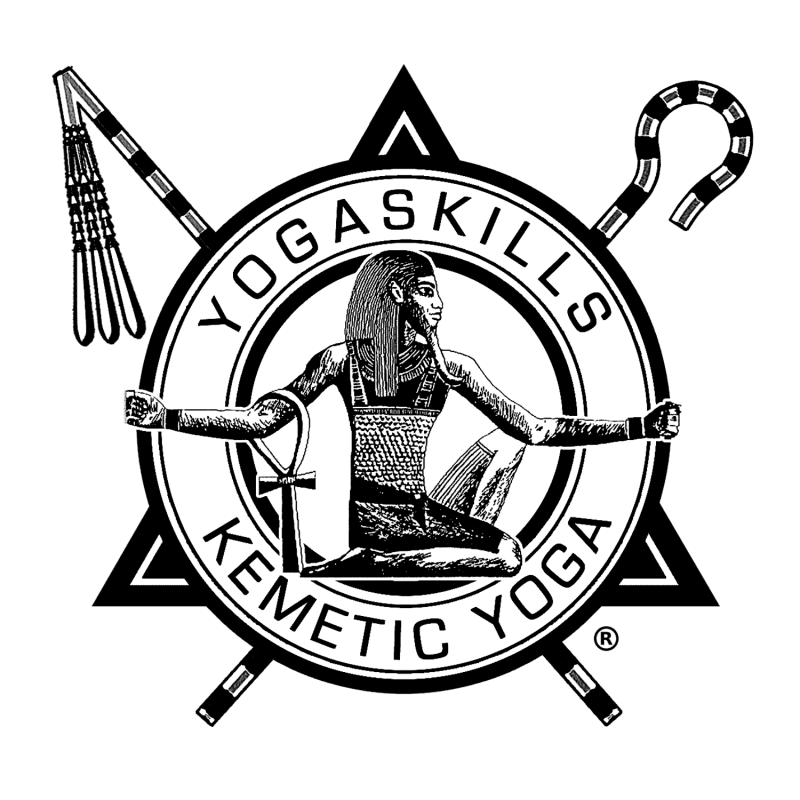 Fact is examples of Indian Yoga can be found in ancient Egypt, but examples of ancient Kemetic Yoga cannot be found in India. The conclusion one can draw from this is : the Yoga of Egypt is much older than that found in India.